Buy 'Remember those great Volkswagen ads?' and rekindle your faith in the possibilities of communication using the written word. Back in the sixties I was a messenger boy in a small advertising agency. For some reason the agency had an international department. This meant I could get my hands on copies of Life Magazine, The New Yorker and McCall’s. Flicking through these magazines, I started to see ads, the like of which I had never seen before. Mostly, they were for Volkswagen. I began tearing out these ads and collecting them. Towards the end of the decade the same sort of ads began to appear in British broadsheet newspapers such as The Daily Express. I can clearly remember opening the paper to see Marty Feldman’s face filling three quarters of a whole page; below his picture were the words ‘If he can make it, so can Volkswagen’. The Feldman ad was, of course, written by the late David Abbott, one of the three authors, along with Alfredo Marcantonio and John O’Driscoll, of ‘Remember those great Volkswagen ads?’ . And it’s timely that I mention this, as this marvellous book, first released in 1982, has just been republished . I cannot recommend it enough. It is filled with ads that made me love ads. Ads that demonstrated that advertising needn’t be corny, bumptious and overbearing. Ads that made me want to become a copywriter. If you are anything to do with the communications business – a writer, an art director, a creative director, account man or client, this book is a must-buy. 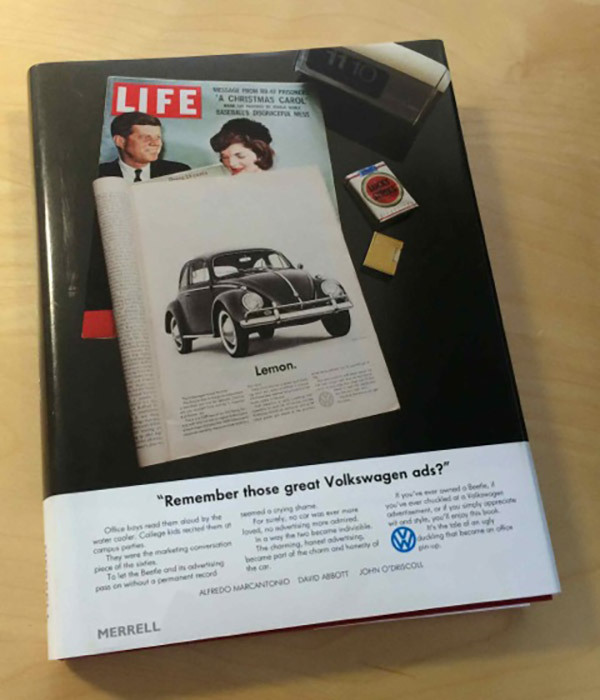 And sad to relate, if you compare the print ads in ‘Remember those great Volkswagen ads?’ with those that are produced today, you will conclude that standards of print advertising have gone downhill. In fact, it’s almost as if Bill Bernbach had never lived. But he lives on in this book. Buy it and rekindle your faith in the possibilities of communication using the written word. At £39.99, it’s worth every penny. Click here to find out more.